Label-Free Enrichment of Circulating Tumor Cells (CTCs). Nanostring's patented technology used in the nCounter Analysis System is a true digital detection technology capable of highly multiplexed, direct profiling of individual molecules in a single reaction without amplification. Barcoded probes hybridize directly to a target molecule in solution. The Reporter Probe carries the barcode, and the Capture Probe allows the complex to be immobilized for data collection. nCounter® miRNA Expression Assays have been carefully curated to ensure the relevant content and appropriate controls to achieve excellent research results. NanoString utilizes proprietary metrics such as observed read ratios and expression analytics to screen potential content before inclusion in the panel. 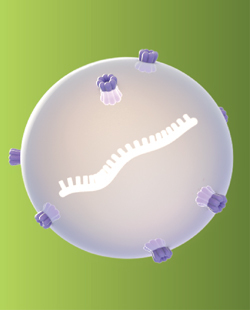 These methods help ensure that miRNA panel content is heavily weighted toward biologically significant miRNAs. In addition to this data-driven selection process, NanoString also performs literature reviews to ensure that the most relevant miRNAs are included in our panels. 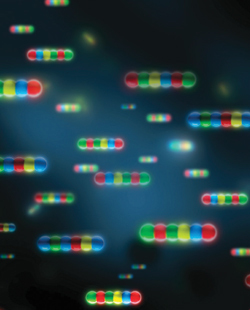 Genomax provides a range of technology solutions in understanding the complexity of transcriptome regulation such RNA sequencing, microarray, digital gene expression and antibody array. 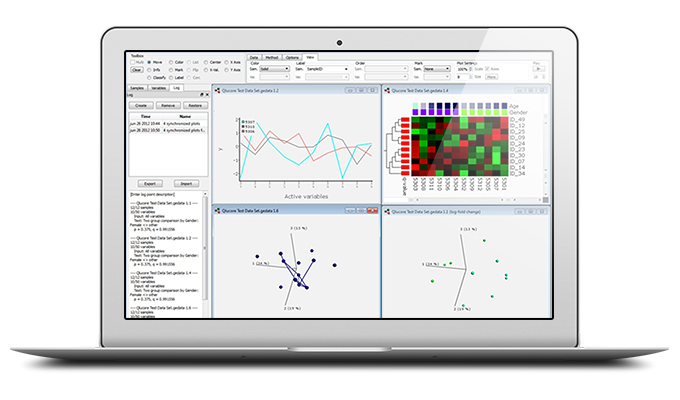 Using Qlucore Omics Explorer, you can drastically shorten analysis time and add more creativity to your research, thanks to stunning 3D graphics, a point and click user interface, and state of the art statistical analysis. Identify discriminating variables, produce publication ready plots and expand your analysis by using integrated tools such as GSEA an GO Browser.